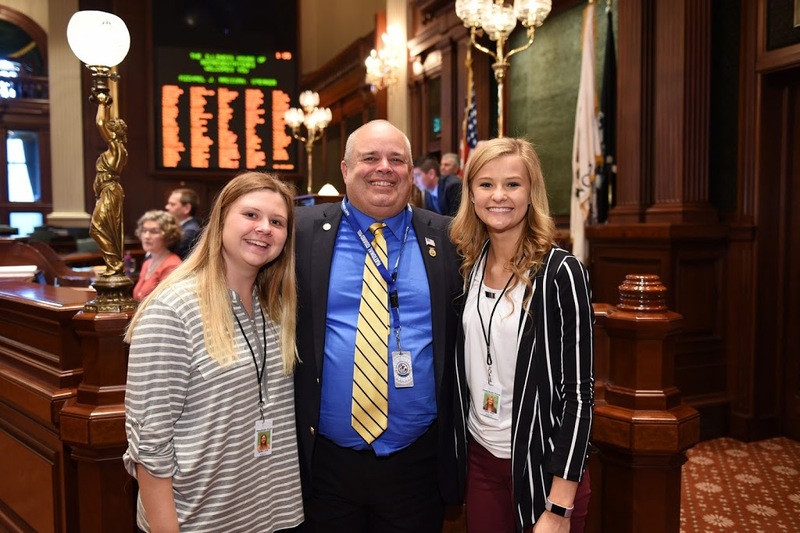 State Representative Dan Swanson hosted Oneida residents Mallory Shea and Taylor Main as Honorary Pages in the Illinois House on Tuesday, May 23rd. Mallory is a freshman at ROWVA High School where she is on the Softball and Volleyball Teams as well as participating in FFA, Mission Team, 4-H, and she writes the District 208 Newsletter. Mallory is the daughter of Damon and Beth Shea. Taylor is a freshman at ROWVA High School where she is on the Volleyball, Track, and Basketball Cheer Teams as well as participating in FFA, 4-H and YMCA Swimming. She is a Class Officer, District Creed Speaking Champion & Star Chapter Greenhand (FFA), a State Qualifier in Swimming, and is on the Honor Roll. She is the daughter of Rodney and Trisha Main.